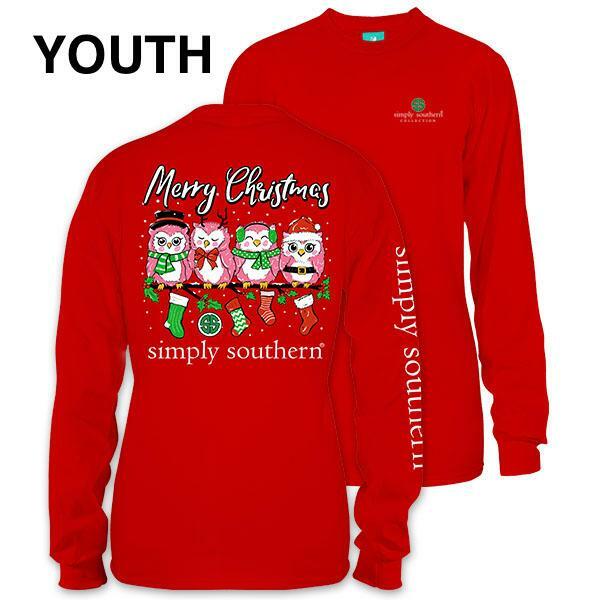 Get ready for the Christmas season with some cute preppy Simply Southern Christmas shirts. 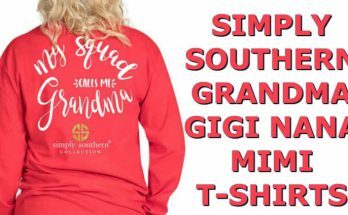 Simply Southern has come out with some of their holiday line of t-shirts for both adult and youth. 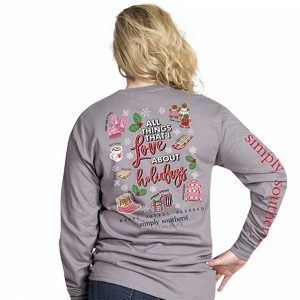 I am sure these unique and cute t-shirts will be perfect for the 2018 Christmas season. Click Here to view the Christmas shirt and all of our list of Simply Southern Items. 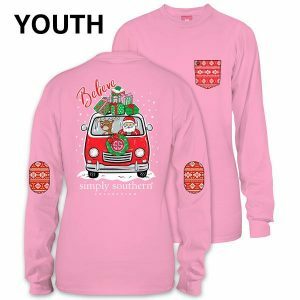 Their holiday designs have always be very popular over the last few years. 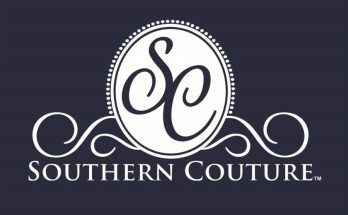 As Simply Southern has become one of the top southern preppy t-shirt brands in American, their product line has increase and their quality has also increase. Their designs are some of the best. 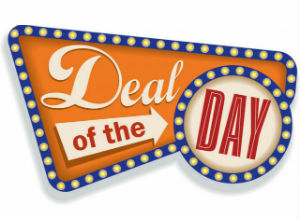 The graphics they use for their holiday and all of their t-shirts, have an attractive look and colorful designs. I am sure this year 2018 will be no exception. 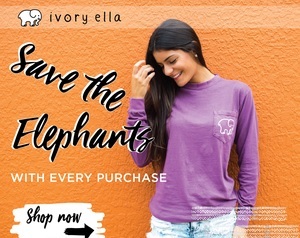 This years designs are cute and have different colors and graphics. 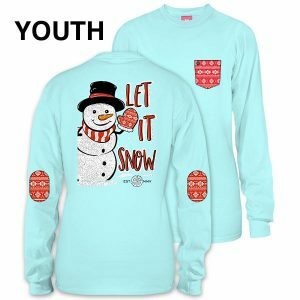 One of the shirts has image of owls dressed up in different Christmas outfits in a red color long sleeve shirt. 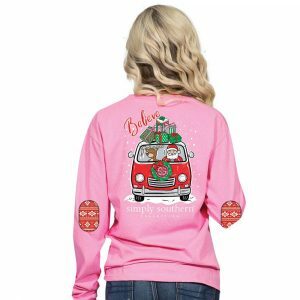 Another shirt has santa riding in a van to delivery his presents. 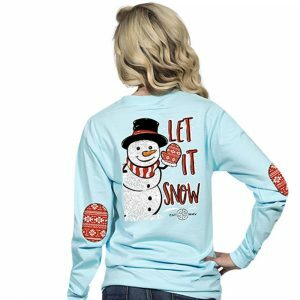 There is also a snowman t-shirt that says, “Let It Snow”. 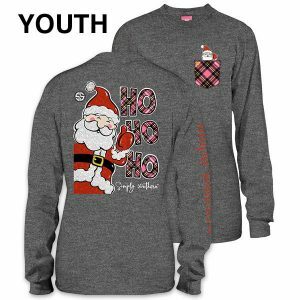 Then there is a santa shirts that says, “Ho Ho Ho”. If you are looking for a shirt that has different gifts on it, there is a holiday design for that. 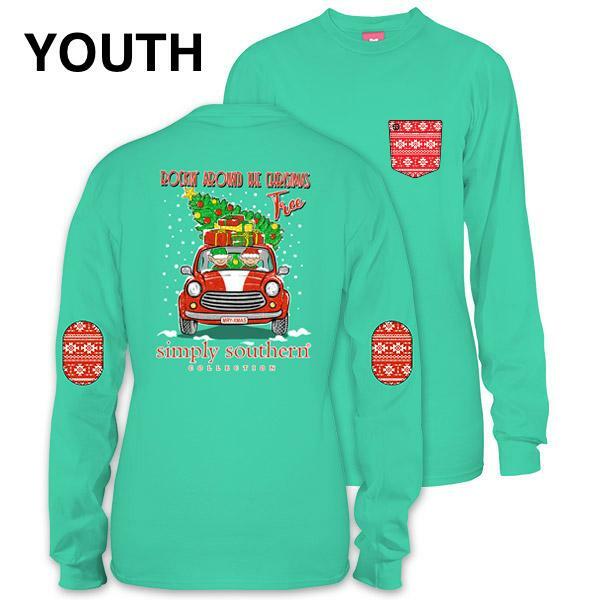 Take a look at the cute Rockin Around The Christmas Tree t-shirt below. 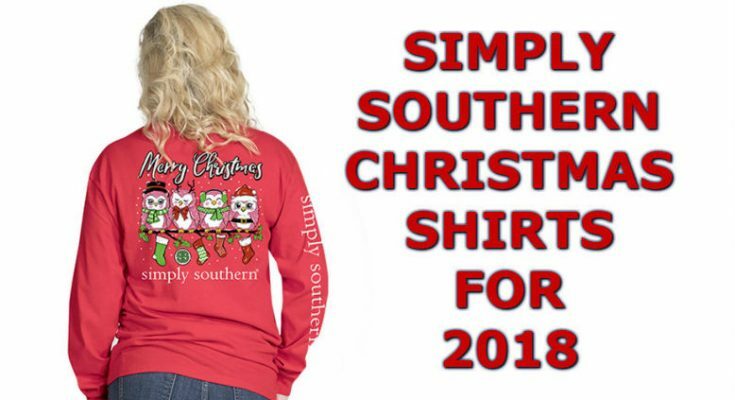 Check out below the different Simply Southern Christmas designs for 2018. 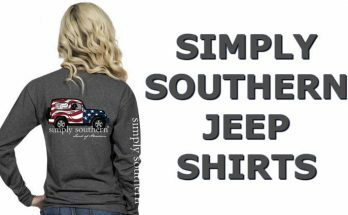 Simply Southern has already come out with some of their long sleeve designs for fall. 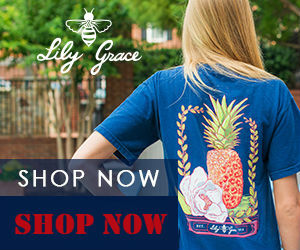 Click Here to see what is currently available. 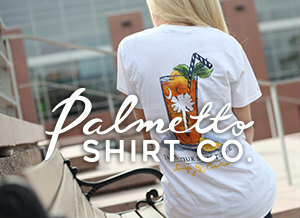 They have also come out with a new Simply Southern Sherpa that is available now. 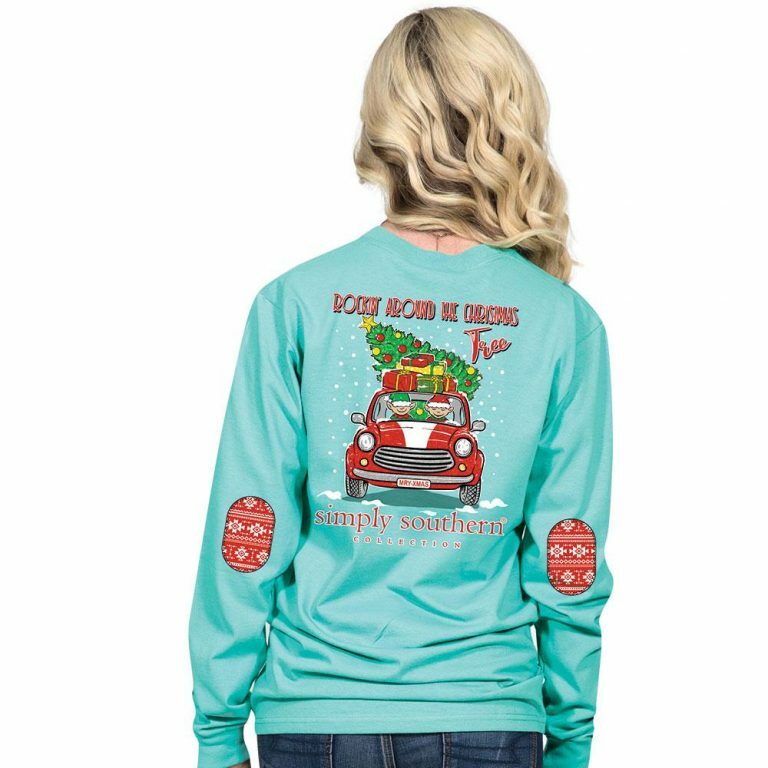 Also here is a link to see other Christmas t-shirt from other brands that are available now.